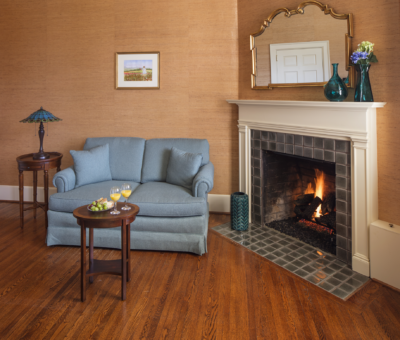 This lovely room, named for the original mistress of the Bromfield House, features a gas log fireplace and comfortable loveseat, just right for a cozy evening. 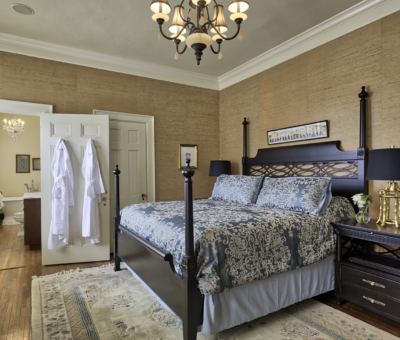 Slumber sweetly in silky bamboo sheets on the Chesapeake poster king bed. 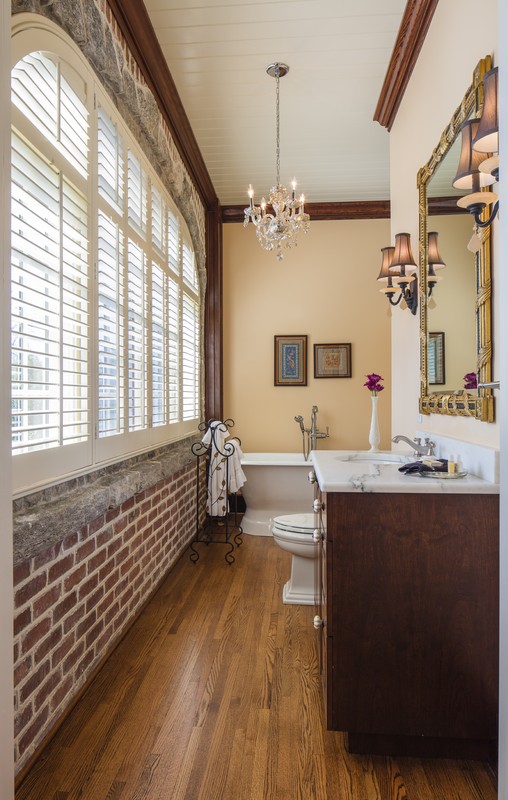 The bath was once a summer porch for relaxing on warm evenings. 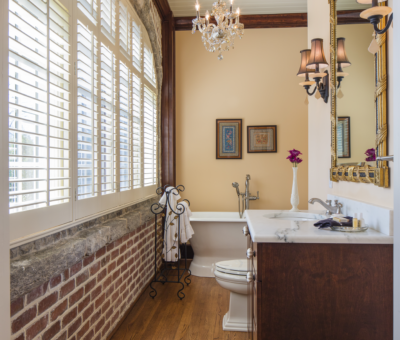 Now guests can relax in the soaking tub with a lovely view of the sloping gardens through the stone encased windows, or enjoy the oversized shower. Windows bring a view of the side lawn and gardens. 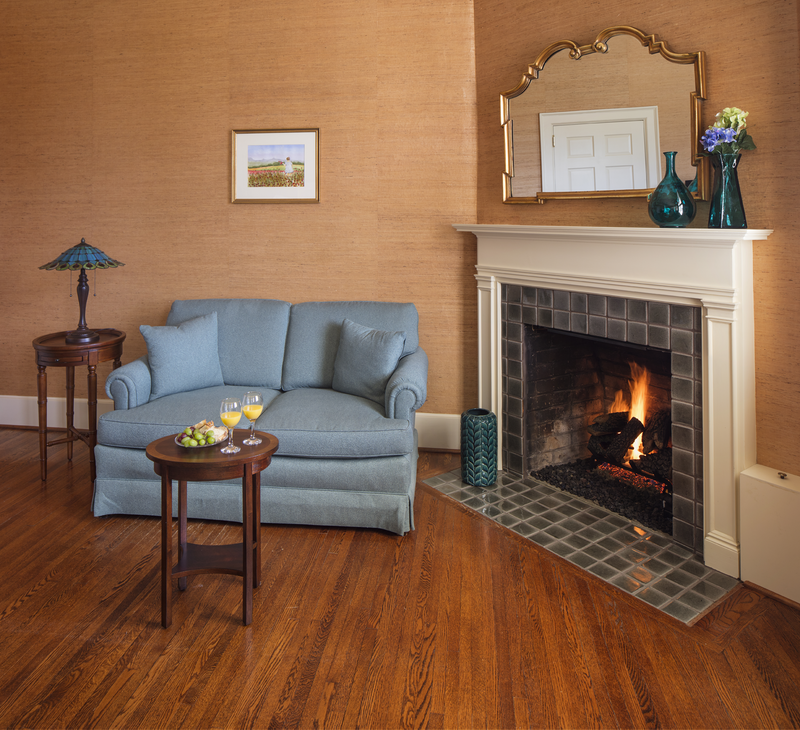 Enjoy a large screen TV and high speed internet access. 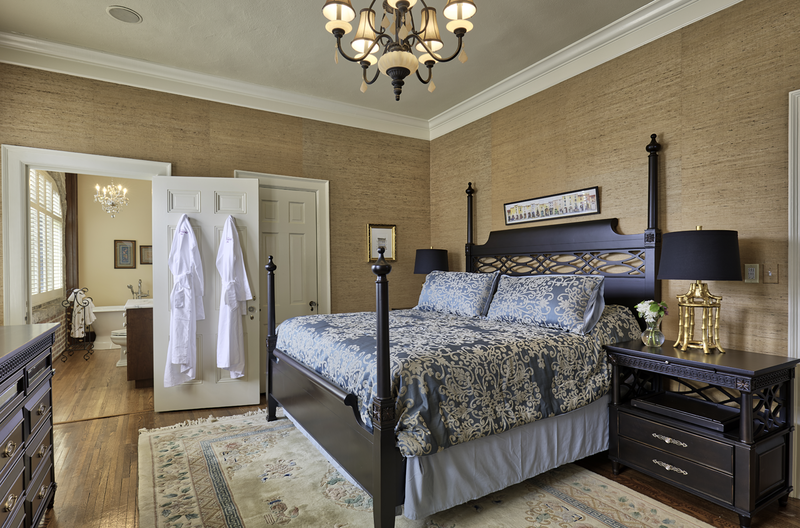 A three course breakfast and evening wine and hors d’oeuvres are included with your room reservation.